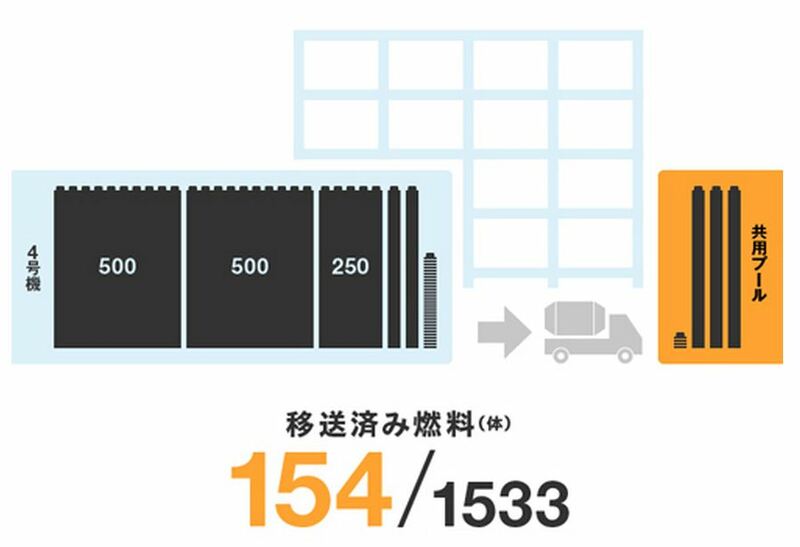 TEPCO announced another transfer of spent fuel from unit 4 to the common pool. The work would have taken place last week. 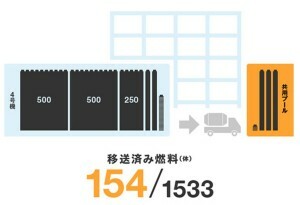 154 fuel assemblies have been transferred to the common pool to date.